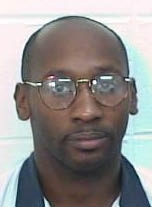 Attorneys for Troy Davis presented their side in the long-awaited evidentiary hearing Wednesday at the federal courthouse in Savannah. Davis, who is on death row, is trying to prove he is an innocent man in an argument that has not been used before. Davis’s lawyers argue he should not be executed because it would be unconstitutional to kill an innocent man. The U.S. Supreme Court ordered the evidentiary hearing. Davis must prove to the court he is innocent through new evidence. On Wednesday, the courtroom fell silent as Davis entered from a side door. Davis, dressed in a white, prison-issued shirt and pants with blue trim, smiled briefly at his mother before sitting down at the defense table. His defense team says seven of nine eye witnesses at Davis’s original trial in 1991 have recanted their testimony. On Wednesday, they called four witnesses who had testified in 1991 and who told the court that Davis was not the killer. They also called two witnesses who said that another man had confessed to them he was the one who killed Officer MacPhail. Several of the original trial witnesses said they had felt intimidated by police to name Davis, and one said he had been beaten by police the night of the murder. The first witness was Antoine Williams, who was at the murder scene that night back in August of 1989. Williams testified that he never saw who shot MacPhail that night. He said he had tint on his car windows and that it was dark.